We’ve tried various things over the years to get young people involved in Long Division – anyone remember us persuading The Cribs to play a matinee show where tickets were £10, or offering free tickets for 16 & 17 year olds? This year, we’ve switched tact slightly to focus on the family experience. It may have something to do with three of our team becoming parents during the festival setup… but it’s actually got a lot to do with what we believe the focus of the festival is; community and creativity. 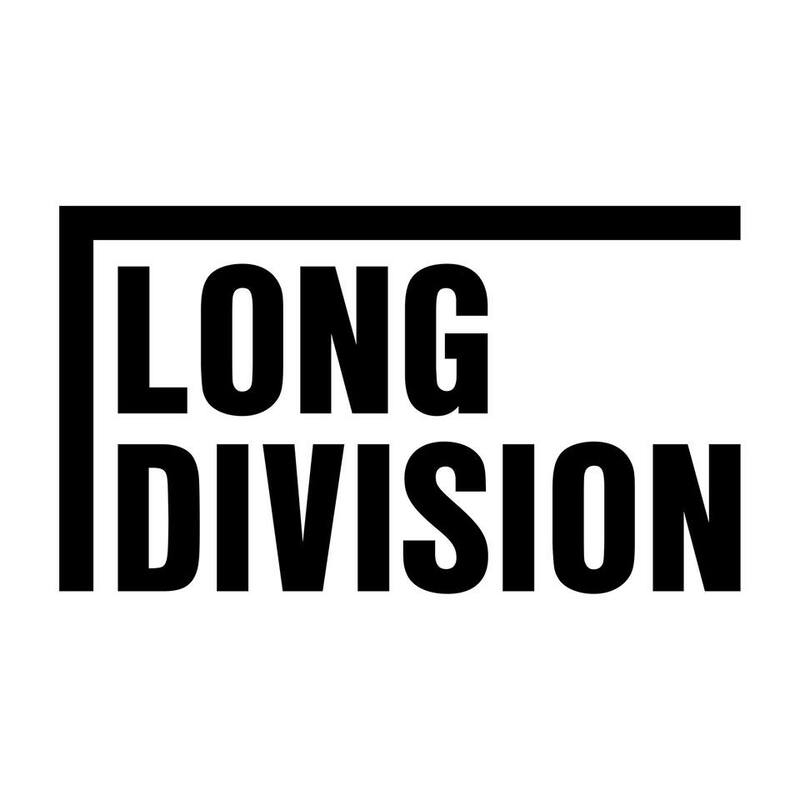 We appreciate Long Division can be a lot to get your head around, so here is our guide to Long Division for young families. We have things happening over five days but the main attraction for families will be June 2nd and 3rd – Saturday and Sunday. Long Division takes place in Wakefield City Centre. Our venue page has a map to show you how close the venues are to one another, and to the general facilities of a city centre. The Elizabethan Gallery is our focused family / creative venue and it is open from 12 – 4pm on June 2nd. It includes workshops to build instruments from junk, create doodles to music, build mini matchbox size books, screenprint your own tote bag, facepainting and a series of pop up event and activities including tech demos from Backstage Academy, NCS The Challenge running Crystal Maze style challenges and stall from organisations such as Oxjam. Everything in there is free to get involved in. The Elizabethan Gallery is in Trinity Walk shopping centre. Elsewhere on the Saturday, there are storytelling sessions at Brews, Bites and Books. All of our venues are accessible to U14s, except Warehouse 23. You will require a ticket to get into Warehouse 23, Wakefield Cathedral and St Austin’s whilst the rest are free. Some will become less child friendly post 7pm but prior to that, young people are very welcome. If you have tickets for the big venues, U14s are free entry under adult supervision (except Warehouse which is 14+ only). Basically, children are welcome everywhere, though we can’t of course guarantee the performances will be completely child friendly. We also have NCS The Challenge and Go Higher with us at The Elizabethan Gallery, with fun activities and information on opportunities for 15+ young people. One show that definitely is child friendly is The Magic Of The Beatles. This is happening on Wakefield Precinct on June 3rd, and again it’s completely free to attend. It starts at 17:30 and will last approximately 90 minutes. Finally, if everything being free wasn’t good enough, if you sign up for a free wristband, you’ll also get access to some special offers. 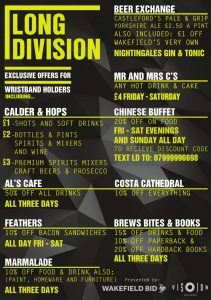 Just show your wristband to get these special offers. Wristbands of any kind can be purchased here. On Saturday June 2nd you will be able collect them from Wakefield One (the council building where Wakefield Museum and Create Cafe are) from 11am until 6pm. Some offers last all weekend.